The PGA Championship golf tournament was first played in 1916 and is run by the PGA of America. 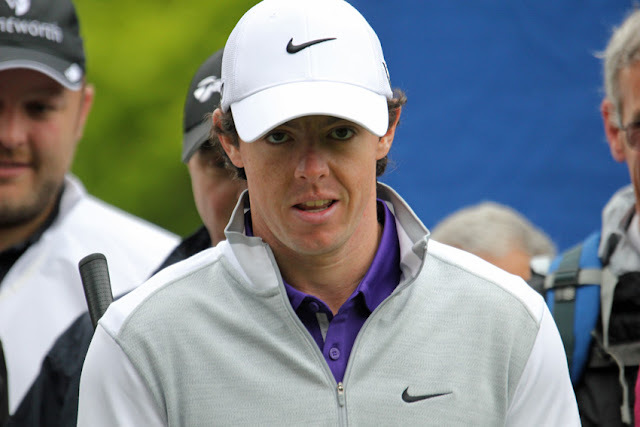 It is one of the four major championships in men's professional golf. The history of the PGA Championship is divided into the early years, up to 1957, when the tournament used a match play format; and the "stroke play era," from 1958 to present. 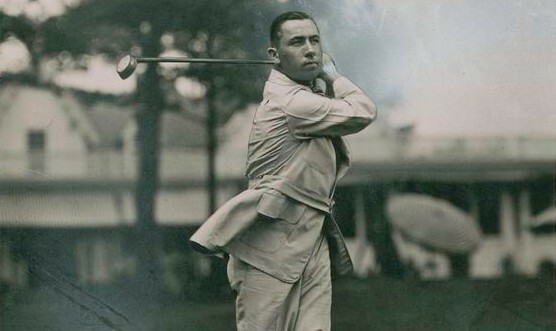 Walter Hagen (pictured above) had the most wins in the match-play era with five. Jack Nicklaus holds the record with with five stroke-play wins in this major. Here is the list of PGA Championship winners. The winner's name is followed by his winning total (or, in the case of the match-play years, by the foe beaten in the championship match). Playoffs are listed in parentheses. Click on the year to view the final scores and a tournament recap. Photo credit: Walter Hagen photographed by Paul Thompson, from the The Miriam and Ira D. Wallach Division of Art, Prints and Photographs: Photography Collection in the New York Public Library Digital Collections.